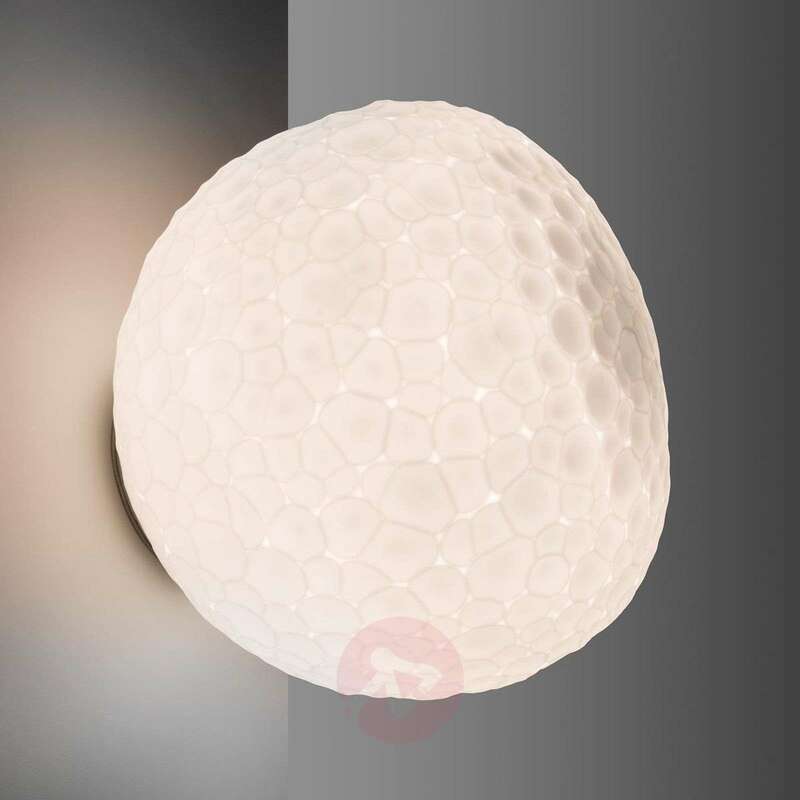 A spherical glass body, hand-blown and double-layered, this wall light is both a lampshade, diffuser and luminous element. It creates very cosy room lighting, completely free of glare. 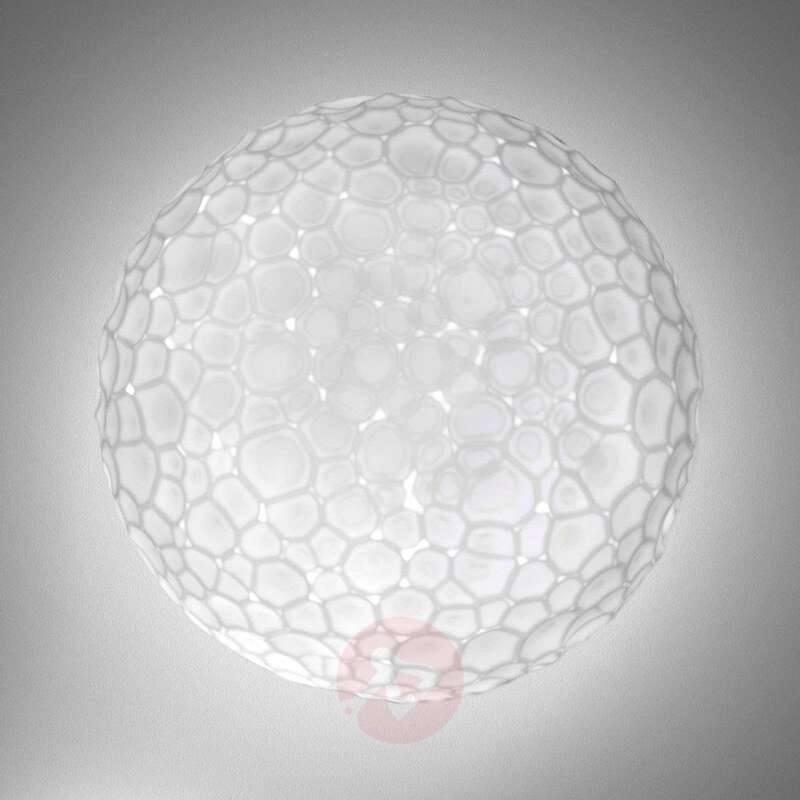 In order to create the special surface structure of this glass body, a combination of special glass blowing and grinding technology is necessary. This structure is very similar to the surface of a meteorite, hence the name of the light: Meteorite. In addition, when burned out and evaporated, these cosmic bodies also produce luminous trails in the sky. 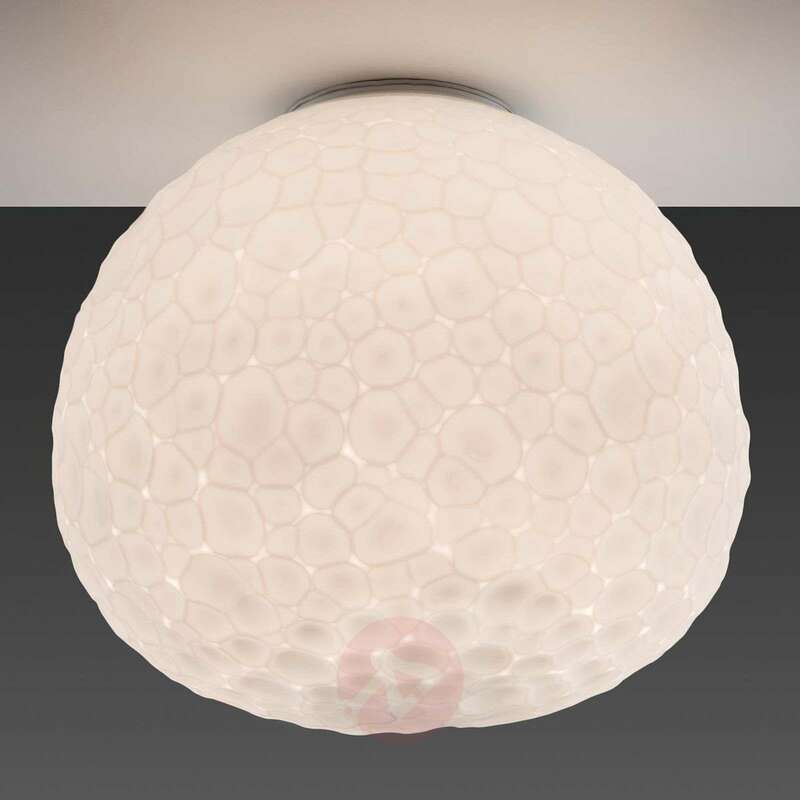 The Meteorite can be used as both a wall and ceiling light. The designers, brothers Pio and Tito Toso, are from Venice and studied architecture at Venice University. 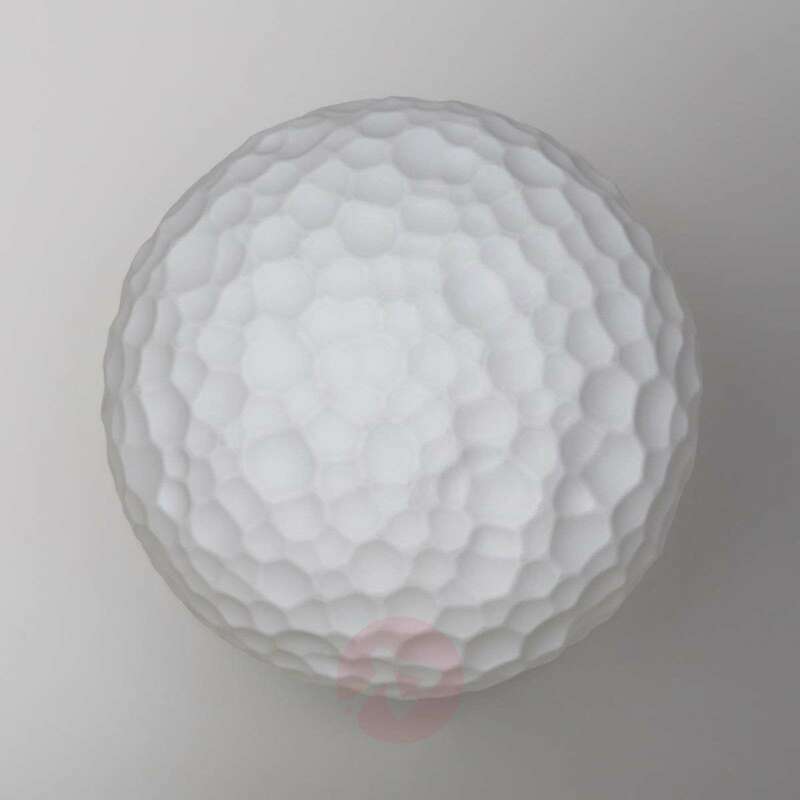 In 1996 they founded the designed studio named after them with which they undertake commissions for renowned lighting manufacturers, including the Italian company Artemide. 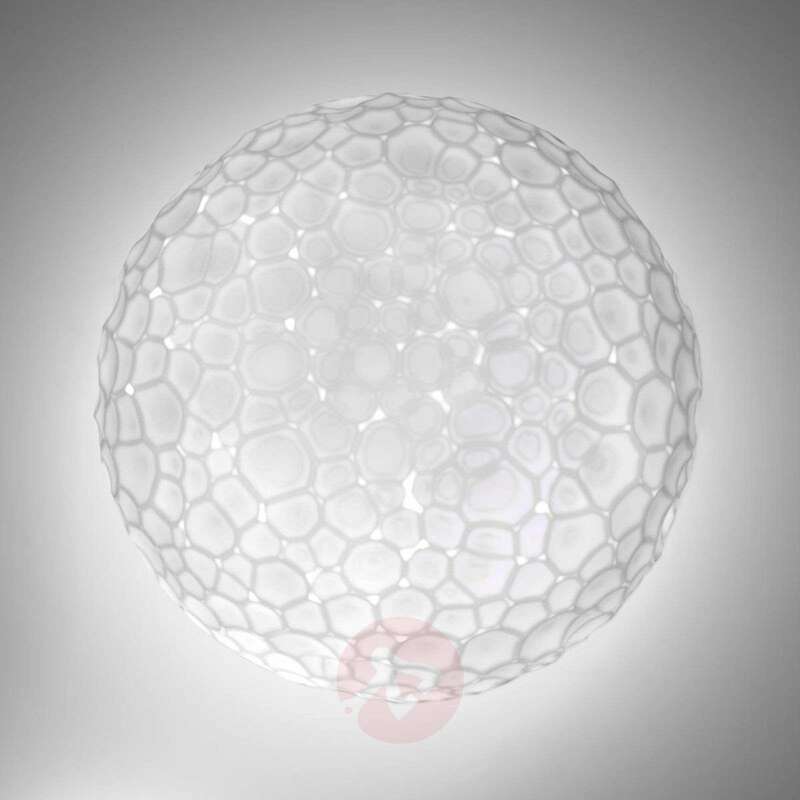 Artemide is one of the world's most famous designer lighting manufacturers. Our own production facilities, glass factories and our own innovation and research centre form the basis for the success of Artemide along with our well-known national and international designers.